Batteries are only 2 months old. Holding tank has diverter valve to sea. Tank capacities are appx. There are two cookers available. The toilet system has a divert valve to holding tank or to sea. Heating is by Webasto heater. stable. Both the internal and external condition is second to none! With some additions such as the heads door converted to a 3 fold door to allow better access. The woodwork is a credit to the current owners and is only for sale due to health reasons. with 2 cabins and a roomy cockpit this is a MUST VIEW to fully appreciate. Low engine hours and a Nav suite, bow thruster and excellent canopy. A vessel for the family on the river or at sea. 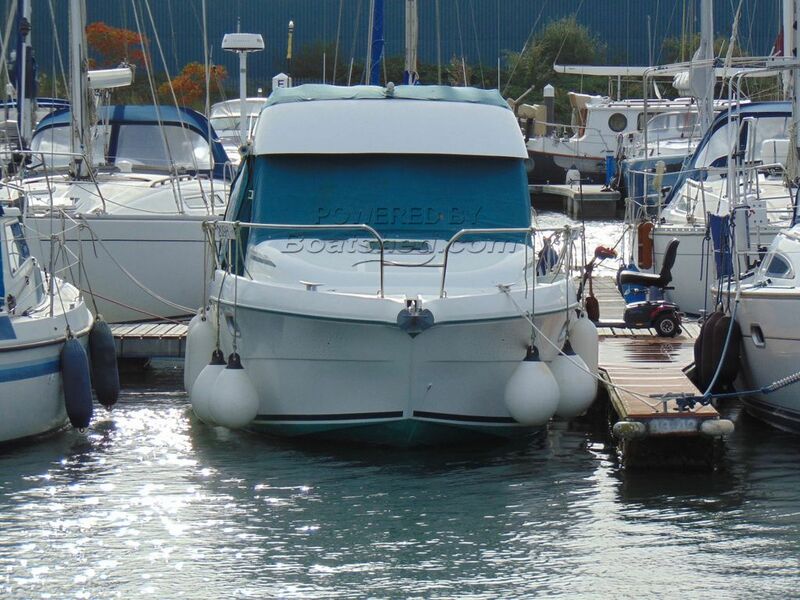 This Jeanneau Merry Fisher 805 has been personally photographed and viewed by Geoff Jaquest of Boatshed Suffolk. Click here for contact details.